The mission of Washington Metropolitan Accordion Society is to bring together accordionists and promote accordion music in the National Capital region. All squeezebox players and friends welcome. 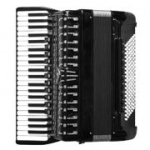 The San Francisco Accordion Club purpose is to enhance, promote and stimulate an appreciation for the accordion within the membership and throughout the general public.